I was planning on going into New Look but in the end my chemo got the better of me so I ordered online. Unfortunately there were lots of items out of stock in my size (my wishful thinking size 10, and my new actual size 12) so this will be a quite a short post! Added to that the Amalie and Amber Navy Belted Dress I had ordered, was a peculiar unflattering black lace affair when it arrived, so I have not included it! I shall have to make the effort to go and have at look in store soon. Having said all that, the four dresses which did come are all flattering in their own way, and the first three would all be suitable if you are looking for an outfit for an upcoming wedding etc. This one is my favourite though. It is absolutely perfect for a flat chest; it is as if someone designed it especially for us no-recon ladies! It has a high-neck pleated collar, and these pleats form the gathered chiffon layer panel down the front of the dress. Combined with the bold pattern to add decoration, and the cap sleeves adding a little width across the chest I think this would suit either a single or double mastectomy. 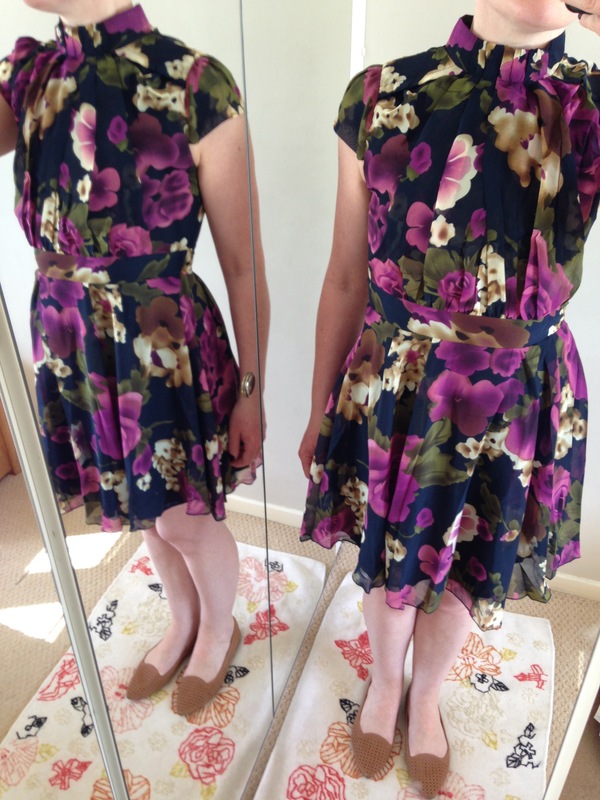 Verdict: Perfect…if only I had somewhere to wear it! 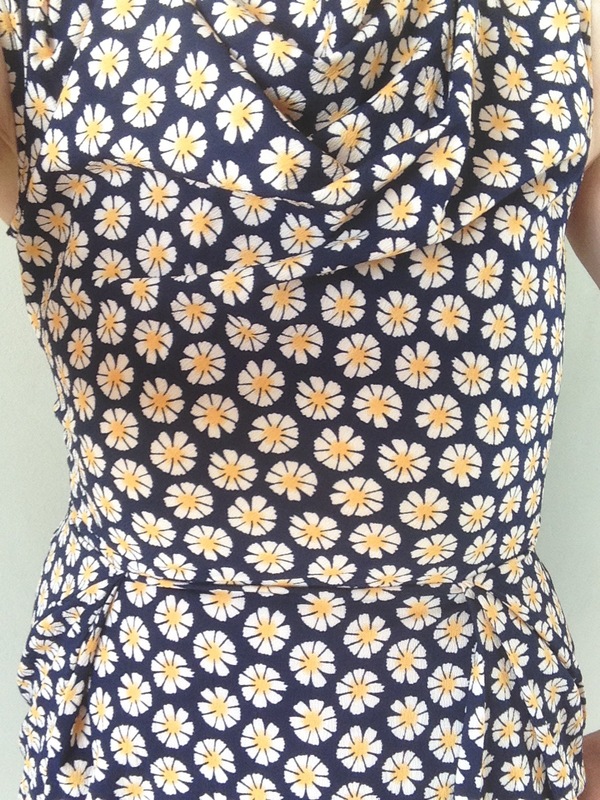 Another lovely summery dress; I’m a sucker for daisies. Verdict: The tried and tested cowl neck always flatters flat! 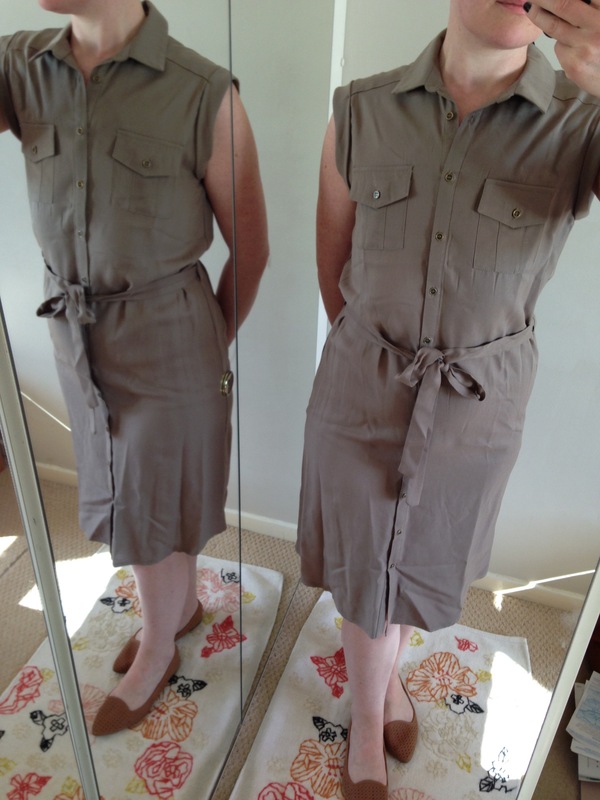 Pretty light crepe fabric with pleated waistband feels comfortable on, however a bit too short for me! 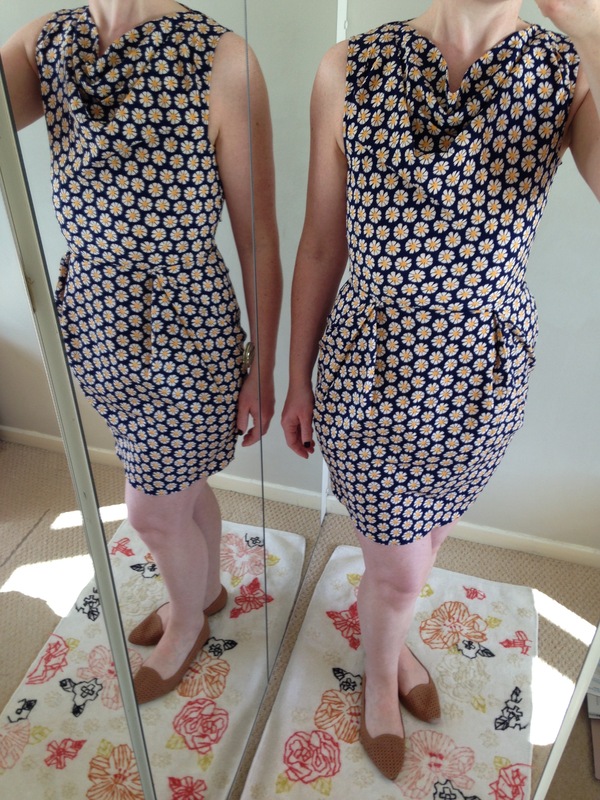 I ordered this navy floral dress as it had a non-structured fit with a gathered waistband and bold pattern for a flat chest plus long sleeves for those ladies with lymphoedema. 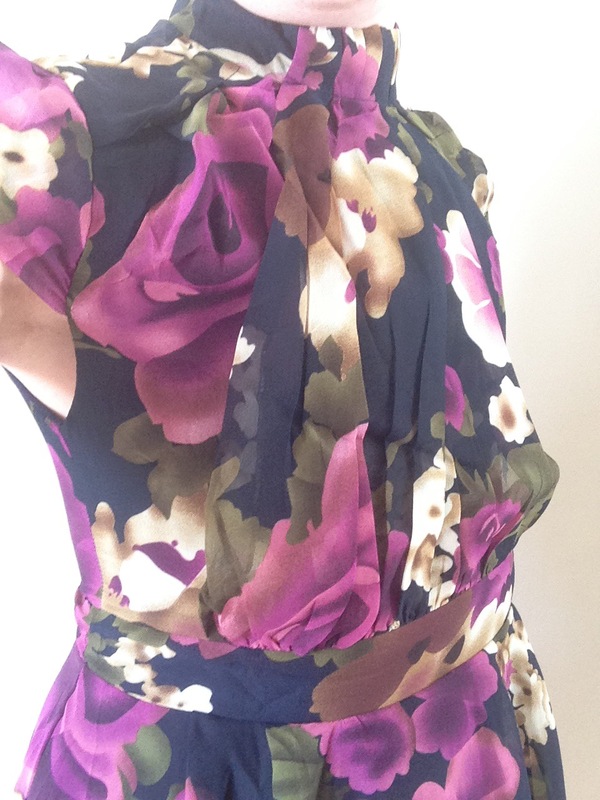 Verdict: Lovely floaty chiffon fabric in an unusual bold pattern. The zip on the bodice works so could be layered over a contrasting vest. 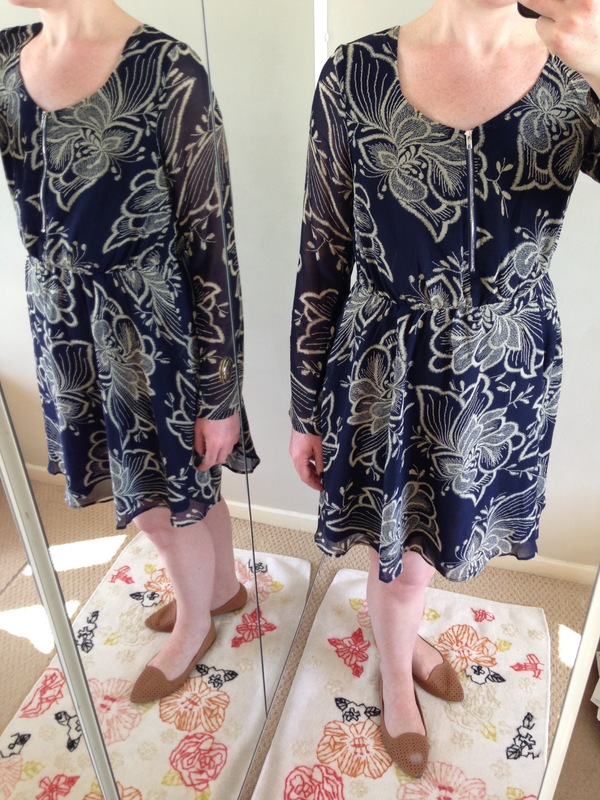 There is not much spare fabric in the sleeves so I am not sure if this would work if you had lymphoedema unfortunately. This last dress is another tried and tested flattering flat style: the shirt dress. 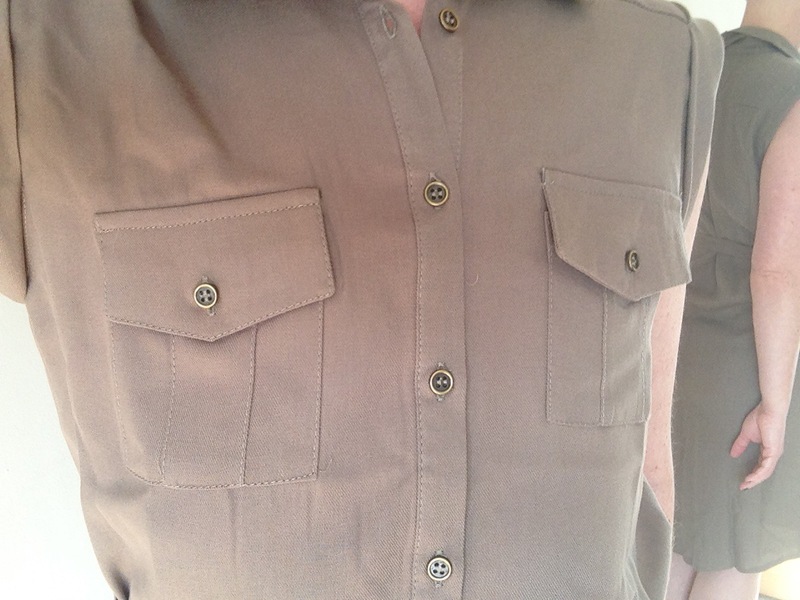 with double breast pockets. This one though is probably smart enough to work as an office dress (my main stumbling block at the moment). Verdict: Well made, smart, knee-length shirt dress.